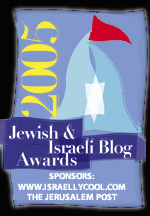 Writing about Israel is a booming field. No news agency, be it ever so humble, can avoid embedding a few correspondents and a dog's tail of stringers into Tel Aviv and Jerusalem, to sit in cafes clicking away on their laptops, meeting up with leftist NGO's and the oppressed Muslim of the week. At a time when international desks are being cut to the bone, this is the one bone that the newshounds won't give up. Wars can be covered from thousands of miles away, genocide can go to the back page, but, when a rock flies in the West Bank, there had better be a correspondent with a fake continental accent and a khaki shirt to cover it. Writing about Israel isn't hard. Anyone who has consumed a steady diet of media over the years already knows all the bullet points. The trick is arranging them artistically, like so many wilted flowers, in the story of this week's outrage. Israel is hot, even in the winter, with the suggestion of violence brimming under the surface. It should be described as a "troubled land." Throw in occasional ironic biblical references and end every article or broadcast by emphasizing that peace is still far away. It has two types of people; the Israelis who live in posh houses stocked with all the latest appliances and the Arabs who live in crumbling shacks that are always in danger of being bulldozed. The Israelis are fanatical, the Arabs are passionate. The Israelis are hate-filled, while the Arabs are embittered. The Israelis have everything while the Arabs have nothing. Avoid mentioning all the mansions that you pass on the way to interviewing some Palestinian Authority or Hamas bigwig. When visiting a terrorist prisoner in an Israeli jail, be sure to call him a militant, somewhere in the fifth paragraph, but do not mention the sheer amount of food in the prison, especially if he is on a hunger strike. If you happen to notice that the prisoners live better than most Israelis, that is something you will not refer to. Instead describe them as passionate and embittered. Never ask them how many children they killed or how much they make a month. Ask them what they think the prospects for peace are. Nod knowingly when they say that it's up to Israel. Weigh every story one way. Depersonalize Israelis, personalize Muslims. One is a statistic, the other a precious snowflake. A Muslim terrorist attack is always in retaliation for something, but an Israeli attack is rarely a retaliation for anything. When Israeli planes bomb a terrorist hideout, suggest that this latest action only feeds the "Cycle of Violence" and quote some official who urges Israel to return to peace negotiations-- whether or not there actually are any negotiations to return to. Center everything around peace negotiations. If Israel has any domestic politics that don't involve checkpoints and air strikes, do your best to avoid learning about them. Frame all Israeli politics by asking whether a politician is finally willing to make the compromises that you think are necessary for peace. Always sigh regretfully and find them wanting. Assume that all Israelis think the same way. Every vote is a referendum on the peace process. A vote for a conservative party means that Israelis hate peace. The Israelis can also be divided into two categories. There are the good Israelis, who wear glasses, own iPads and live in trendy neighborhoods. They are very concerned that the country is losing its soul by oppressing another people. They strum out-of-date American peace songs on guitars that they play badly, but which you will describe them as playing "soulfully", and they show up at rallies demanding that the government make peace with the Palestinians. Your good Israelis invariably volunteer or work for some NGO, a fact that you may or may not mention in your article, but you are not to discuss who funds their NGO, particularly if it's a foreign government. Write about them as if they are the hope of an otherwise brutish and unreasonable Israel too obsessed with killing and destroying to listen to the hopeful voices of its children. When writing about them, act as if they are representative of the country's youth and its best and brightest, which for all you know they might be, because you rarely meet anyone who isn't like them, because you rarely meet anyone who isn't like you. When you do it's either a taxi driver, repairman or some working-class fellow whom you have nothing in common with, and who turns out to be a raving militant when it comes to the terrorism question. These are the other Israelis. The big swarthy men who have no interest in alternative art exhibits. If you have to deal with them at all, get a quote from them about their hopes for peace and how much they dislike the government. Pretend that the two things are connected, and that everything that your friends, who are aspiring artists and playwrights, as well as volunteer humanitarians, told you about the country being ready to rise up against right-wingers like Barak and Netanyahu, to demand peace, is absolutely true. Don't ask yourself why the country keeps electing right-wingers; if you do, turn it into an essay that touches on Holocaust trauma and biblical hatred. At some point, you will have to write about the thin bearded men in black hats rushing through the streets on their inscrutable errands. Describe them as "Ultra-Orthodox", even if the word does not seem to mean anything, and pretend that they're all the same. If anyone tries to explain the distinctions to you, ignore them. When writing about them, be sure to imply that they are ignorant and fanatical. Mention their growing numbers as a danger to the survival of the state, associate them wrongly with the right wing and throw in some of the complaints from your friends about the "Schorim", the blacks, moving in and destroying secular neighborhoods. Israeli soldiers should be depicted looming menacingly over children. Your stringers are already experienced at urging a child into camera range, then getting down on one knee and tilting the camera up just as an Israeli soldier walks into the frame. If there isn't time to set up the shot, get what you can. The photo can be cropped afterward to show just the Israeli soldier and the Palestinian child, even if the two are not actually interacting in any way. In print, contrast the bored detachment of the soldiers with the prolonged miserable suffering of the Arab Muslims. Checkpoint lines should consist entirely of old and pregnant women waiting to visit their families. If you are Jewish then mention that the soldiers have given you special treatment on account of your race, even if the actual reason is because you are a journalist and your kind doesn't set off bombs, your kind acts as the propaganda corps for those who set off bombs. When visiting "settlers," a term that currently covers a sizable portion of the country, describe them as "dogged" and "fanatical." Dwell on their beards and on their assault rifles. Find some American ones and disarm them with hometown mentions of Brooklyn or Baltimore and then dig for a hateful comment. If you can't get a properly damning quote from one of them, get it from one of their children. If you have no luck there, hit up one of your NGO friends, preferably with a degree, to give you a quote on the danger that they pose to peace. Convey to the reader that there is something disturbing about the tenacity with which they cling to the land, while making it clear that they will have to be ethnically cleansed from the land for there to be peace. Do not use the word "ethnic cleansing," use "evacuation," it sounds cleaner. Be sure to mention that they believe G-d gave them the land. Mention something about the Caananites and the Amalekites. Talk to the girls and contrast their fresh youthful faces with their unwillingness to make peace with their neighbors. Pay a visit to Jerusalem. Mention a place or two that you like to eat, make sure that it is owned by Arabs, accept their tale of being here for thousands of years with complete credulity. If they mention that they are worried about East Jerusalem being taken over by the Palestinian Authority, don't report that. Do report any complaints that they have about the Judaization of Jerusalem. Draw a picture of the neighborhood as a wonderfully multicultural place dating back to when the Jordanians expelled all the Jews—that is now under assault by the returning Jews. Mourn all the tourists and the Jewish families who are getting in the way of your orientalism. Be sure to remind readers that the Muslim name of the city, or as you will write, the Arab name, is Al-Quds, and that it is holy to three great religions. Visit with politicians. Israeli Prime Ministers will invariably be unpleasant obstructionist types, if they make jokes, describe it as a transparent effort to curry favor with you. Generals are even worse. Press them about the separation wall, checkpoints, misery and deprivation in the territories. Then get your NGO friends to introduce you to friendly left-wing pols who will commiserate with you about the state of the peace process and the leap of faith that needs to be taken to make peace. Get a quote from them about the next generation and describe them as saddened by their government's unwilling to make peace. Palestinian politicians are always willing to make peace, even when they aren't. Work at it and you will get a hypothetical quote about their willingness to one day live in peace with the Jews. Turn that quote into the centerpiece of your article. Contrast it with Israeli leaders who still refuse to come to the table. Never ask them any tough questions about the budget, their support for terrorists or why they refuse to negotiate. Instead feed them softball questions, take their talking points and plug them into the template for the same article that your predecessors have been writing since the seventies. If an Israeli tells you that there is no such thing as Palestinians, that they're gangs of Muslim militias who have no interest in running their own country, or that Jordan is the actual Palestinian State, ignore him. Details like that don't matter and you're not here to litigate history, you're here to tell a story. The same story that has been told for generations about villainous Israelis and the heroic resistance fighters battling against them. Don't dig into the relationships between Arab clans, the depth of nepotism within the Palestinian Authority or the lack of elections. Don't discuss Israeli poverty except when your NGO friends ask you to write about their work. Don't mention the epidemic of car thefts or land seizures. Don't try to understand what all the different religious subgroups are really all about. You were sent here to tell a simple story and your job is to tell that story. Write about the hills and the blood-red sunsets, mention all the armies that probably passed over them in a history you never bothered to learn. Talk about your mixed feelings as a Jew or part-Jew or someone who has Jewish friends, at the sight of Jews oppressing another people. Describe the black soulful eyes of a Palestinian leader or terrorist or terrorist leader. Write up the settler children who are taught to hate. Write about how all the guns make you uncomfortable. Close with an old man who expresses hope that one day peace will come to this troubled land. I found this on Honest Reporting. A pro-government Turkish paper is attacking Turkish Jews just because they hold dual citizenship and have Israeli passports. It's all about subversion, subversion on a grand scale directed at Israel in an attempt to get Israel to self-destruct through demoralization. Make them feel so guilty and responsible for every attack against it that they cave and engage in things like the disengagement or terrorist/hostage exchanges (Hamas v Shalit) that only causes more harm to Israel. Making Israel destroy itself, for the most part, or making it complicit. You know history, and about Russia and social psychology, Daniel. These You Tube videos on subversion are fascinating and could explain what the media (for all intents and purposes when it comes to Israel are counterintelligence agents practicing subversion). The man in the videos is a former KGB agent and knows a lot about subversion. He's lecturing people on it. Quite fascinating. Four steps to steps to the subversion of a nation. This video down right scary, and he says it is happening in the U.S. It goes from demoralization, destabalization, crisis to "normalization" Normalization was apparently a chief goal of the KGB. This topic of subversion is important! I didn't even know about it until another victim of government persecution like me brought it up and recommended that I watch them. Here is another excellent video by Yuri Bezmenov on Soviet subversion of the free press. It's longer than the first but also very important. It's only about five minutes long but tells it like it is:demoralization, destabilization, crisis and normalization. That last one is scary ala Orwell's 1984 because people believe all of their oppression and victimization is normal. Not quite psychosis but definitely makes the person or nation lose touch with reality. Both are in English. The KGB had subversion down to a science. I don't know if the western media are even consciously aware that this is what they're doing, or if Israelis are aware that this is being done to them. Just from what I've gleaned so far...you can't really fight subversion with Hasbara. It's not working. But on topic, subversion is what the media is doing when it comes to Israel and the world's perception of it. Speaking of Israel and subversion...wasn't it Ariel Sharon who always threw a dig or 2 at Arafat? One time I think Sharon called him a pig. I've also watched videos of Putin and how he handles his critics. Not exactly crude and swearing, but definitely practicing subversion. America and Israel need to study up on the Soviet methods. Just to add: Yuri Bezmenov defected from the Soviet Union out of moral indignation, not because he had it rough over there. His father was a high ranking member of the KGB and all of his needs were paid for by the government. The one time when, what should have been satire is no satire but the bitter realistic truth. What motivates these journalists? Does it sell more "papers" to lie? Are they all ignorant anti-semitic left-wing liberal retards? Are they cowards already so afraid of what their local muslims shall have in stock for them once those reach a critical mass in their immigrant countries that by penning down their distorted picture of Israel and Jews they in a manner already cower before Islam? Excellent article! You have really nailed it. Superb. IMHO your best piece! I agree with you, mindRider. We really do need to question the motives. I agree with the comment made by someone else that this is one of Greenfield's best but they are all great! Journalists are quite safe in Israel and freedom of the press is taken seriously. 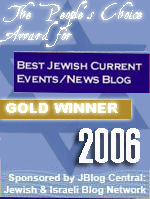 The favour is returned by journalists with antics that amount to pure prejudice and propaganda against Israel. What makes me laugh at times is the talk of genocide and land grabs which, if we can believe left-wing journalists, have been going on for so long that the number of so-called "Palestinians" ought to be zero by now but instead they are growing by leaps and bounds like little rabbits and the land they occupy is also growing - Jordan given to the Arabs - all of Gaza given to away by Israel (then Hamas took it in bloody coup), the Sinai given away, etc. This is an "occupation" in which the so-called occupiers want to find a settlement and solution to the refugee problem but the refugees want the "occupation" to never end because it gives them great advantages - financial aid, world sympathy, support for their belief in Islamic terrorism, and attention from a world that just like spending time endlessly nice Israeli hotels and sipping coffee on "fifth column" salaries while upholding "fifth estate" propaganda. You're a brilliant writer. One of the best. This piece is so thorough and impressive. Pet peeve in media coverage of Israel is referring to Judea and Samaria as the West Bank. An average person reads West Bank and they think of Arabs, not biblical Judea and Samaria. Using the correct terms reporting to,say, Americans means a great deal. I didn't know until relatively recently about the West Bank. BTW:this is an excellent article. If you still submit articles to A7 you should send them this one. with ruthless efficiency right? So whats the problem? Why is Israel giving entry visas to CNN? or NY Times, or The Guardian.? A Leftist journalist denied entry and sitting in a Starbucks in New York trying to get an audience for a piece about the trip he didnt make is going to do a lot less damage to the truth than one writing lies in Tel Aviv. What is Israel afraid of? That they are going to do ?Call you names? They do that anyway. So let them sit home and do it. Never have I encountered writing so consistently electrifying. As Ion Mihai Pacepa , onetime director of the Romanian espionage service (DIE), later explained, the PLO was conceived at the time the KGB was creating "liberation front" organizations throughout the Third World. Others included the National Liberation Army of Bolivia, created in 1964 with the help from Ernesto "Che" Guevara, and the National Liberation Army of Colombia , created in 1965 with the help from Fidel Castro. But the PLO was the KGB's most enduring achievement. In 1964, the first PLO Council, consisting of 422 Palestinian representatives handpicked by the KGB, approved the Soviet blueprint for a Palestinian National Charter - a document drafted in Moscow – and made Ahmad Shukairy, the KGB's agent of influence, the first PLO chairman. The Romanian intelligence service was given responsibility for providing the PLO with logistics support. Except for the arms, which were supplied by the KGB and East German Stasi, everything according to Ion Pacepa, "came from Bucharest. Even the PLO uniforms and the PLO stationery were manufactured in Romania free of charge, as a 'comradely help'. During those years , two Romanian cargo planes filled with goodies for the PLO landed in Beirut every week." The PLO Discovers "Wars of national Liberation"
As early as 1964, Arafat had sent Abu Jihad (later the leader of the PLO's military operations) t North Vietnam to study the strategy and tactics of guerrilla warfare as waged by Ho Chi Minh. At this time, Fatah also translated the writings of North Vietnam's General Nguyen Giap, as well as the works of Mao and Che Guevara, into Arabic. Arafat was particularly struck by Ho Chi Minh's success in mobilizing left-wing sympathizers in Europe and the United States, where activists on American campuses, enthusiastically followed the line of North Vietnamese operatives, had succeeded in reframing the Vietnam War from a Communist assault on the south to a struggle for national liberation. Ho's chief strategist, General Giap, made it clear to Arafat and his lieutenants that in order to succeed, they too needed to redefine the terms of their struggle. Giap's counsel was simple but profound: the PLO needed to work in a way that concealed its real goals , permitted strategic deception, and gave the appearance of moderation: "Stop talking about annihilating Israel and instead turn your terror war into a struggle for human rights. Then you will have the American people eating out of your hand." Any aspiring Guardian (UK) writers would do well to follow your handy guide! Fantastic. Bitter and truthful. I am appalled by the wave of anti-semitism, i.e. anti-Israel, that is engulfing England at the moment. Brilliant and heart rending.. We see so much of the media behaving badly about all of us, the giant 'uncool' masses. Their attitude towards Israel is sadly unsurprising..
All we can do is continue to ignore them until their audience is so small the boss takes their Amex cards. @mladin. strangely, in spite of ignoring giap's advice, and openly advocating the destruction of Israel and the genocide of the isreali population, the "Palestinian" genocidists still have stupid American liberals eating out of their hands. this is not a comment on "Palestinian" stupidity. it is a comment on American liberal stupidity. Thank you for suggesting the ex KGB Yuri Bezmenov's videos in your post above. Well worth watching, and very easy ti listen to. As I read through this latest gem of Daniel's, I kept chuckling at his sardonic humor, and that kept interfering with my progress. So I just gave in and laughed out loud, as often as I wished, surrendering out of necessity, because he captured the Western media's skewed notion of journalism when discussing or lambasting or backstabbing Israel. I would suggest that he turn this article into a pamphlet and send to the MSM as a "how-to-defame Israel" writing guide, except that the MSM already plays it as he lays it out. Also, whenever reporting from the West Bank, and occasionally even Gaza, reporters must include footage of a church or some Christian precession, in order to give the impression that Christians are a significant fraction of the Palestinian population, instead of the rapidly diminishing and fleeing 2% minority that they are. Thank you Frances John:) I found them quite interesting as well. Yuri makes his case well and the west should heed his words. He speaks from extensive experience with the KGB. "In 1964, the first PLO Council, consisting of 422 Palestinian representatives handpicked by the KGB, approved the Soviet blueprint for a Palestinian National Charter - a document drafted in Moscow – and made Ahmad Shukairy, the KGB's agent of influence, the first PLO chairman. The Romanian intelligence service was given responsibility for providing the PLO with logistics support. Except for the arms, which were supplied by the KGB and East German Stasi, everything according to Ion Pacepa, "came from Bucharest. Even the PLO uniforms and the PLO stationery were manufactured in Romania free of charge, as a 'comradely help'. During those years , two Romanian cargo planes filled with goodies for the PLO landed in Beirut every week." Wow. I knew Russia supported Arab countries, but never in a million years would have imagined the KGB would have been this involved. It's staggering. We really need to study the history of the KGB, their tactics and how they play into what is happening in the Middle East and terrorist front organizations. ... and forget to mention that the Arabic name for the Holy City Al Quds itself acknowledges that the city is 'ir ha-qodesh, that is the Holy City of the Jeiwsh people. Keliata - you can find out more about the KGB's construction of the "Palestinians" on discoverthenetworks.org at the horowitzfreedomcenter website.